Smash Up is a popular board game where players take two factions, such as pirates, ninjas, zombies, and more and combine card decks to form an army. With the Smash Up Zombie Lord Mask, you can become the leader of the Zombie Faction! 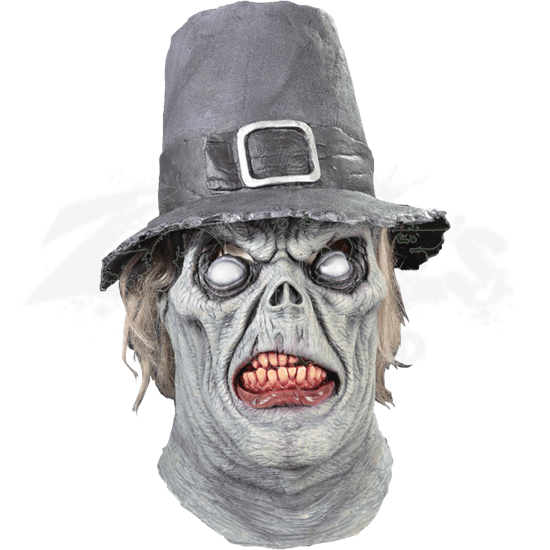 This licensed mask is true to the character featuring the recognizable Pilgrims hat and snarling appearance complete with discolored teeth and gums. The mask if made from high quality latex and covers the entire head when it is worn. 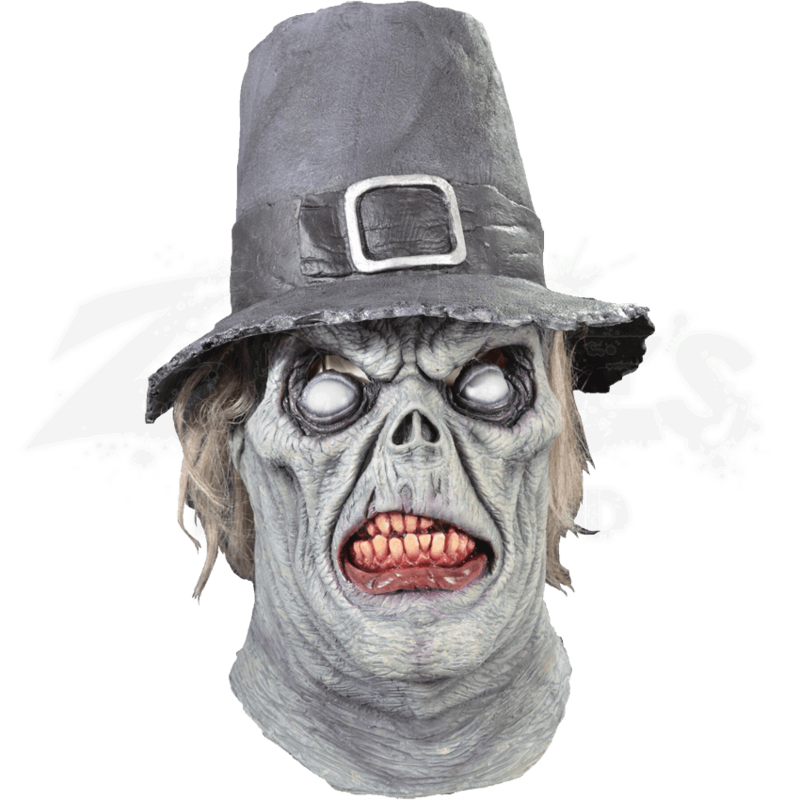 Hair extends from the hat and the wrinkled skin and vengeful eyes complete the look. Become the Smash Up Zombie Lord at your next cosplay event or for Halloween!